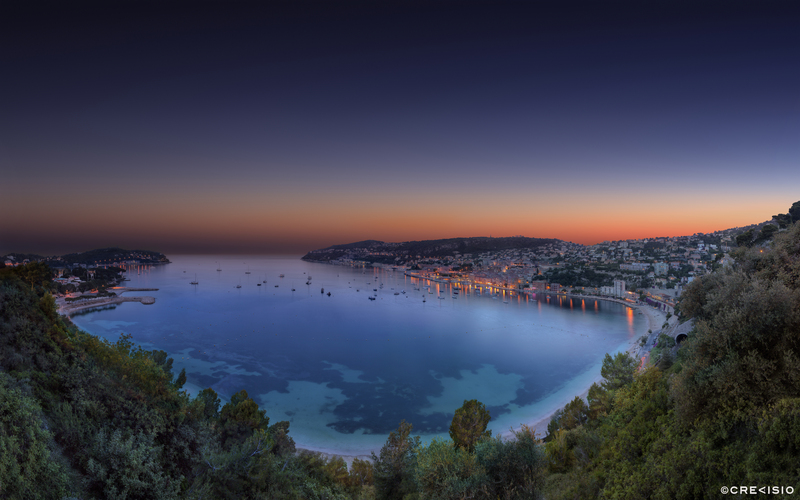 Evening twilight sunset HDR panorama over Villefranche sur Mer, Côte d’Azur, French Riviera. The photograph shows the beautiful bay just in front of Villefranche sur Mer as well as the Cap Ferrat, the location with the world’s highest property prices after the Principality of Monaco and the Cap d’Antibes. The full resolution is a staggering 362 megapixel TIFF file (total resolution of 24,090 x 15,050 pixels at 300 dpi).